& below is a great picture of my Coach Franco Gonzalez and his beautiful wife and family…. 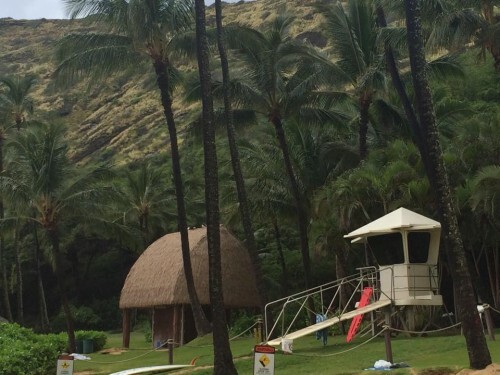 I’m here in Hawai’i with my family for the holidays. Pammy and the girls (Valerie & Sammy) have been here for 3 weeks already. I just got here two days ago. We’ll be here another month. We planned to do this last January. The decision was to roll two goals into one. We wanted to celebrate the holidays in Hawai’i for a few years. We also wanted to INVEST one month of the year into a meditative and relaxing vacation for our family. We want to teach our girls (Valerie is 7 and Samirah is 3) that anything is possible in life if you believe it and plan it and take action to manifest it. We want to embed in their mind that what other people believe is not possible, is not only possible but can be “very normal” if you only believe different, think different and act different. And anything is possible as long as you decide to work hard to enjoy what you do and what you do serves people with tremendous value. We’re teaching them they can live outside the box when they learn to believe outside the box. Thinking outside the box is the vehicle. So, it came to pass that we were able to knock out two goals in one. The final goal became to start 2015 by showing our subscribers, teammates, coaching clients and affiliates that what some people think might not be possible CAN be possible and even “normal” in their own lifestyle, if they just believe a little bit different, think a little bit different and take more (of the right kind) of action than others. To show people what’s possible. Why is it then, that so many people trying to build an online or networking business (direct sales) fail to achieve their goals? I think one reason is that so many people are desperately and blindly chasing “opportunity” and that leads them in the wrong direction. An opportunity is a game of chance. A fortified business model builds powerful brands. A System is Only a System When What You Sell Induces Multiple Back-End Upgrade Sales Which Then Induces a Consumer’s Monthly Repeat Order. Step 1: Give away free cartoons and TV shows on a television network. Retail #3: Sell Movies at $20 a pop. Profit #1: Induce Loyalty + Brand becomes owned by CUSTOMers. Step #1: Give Away FREE CONTENT like this blog, facebook posts, emails and videos trainings (TNT Tuesday Night Training Videos and Hangouts) and even a Podcast filled with Value First Audios. The Strategy: Give Away Free (Valuable) Content. The Goal: Be relevant. Serve Value. Retail #2: Sell Training. People want to learn how to get leads and sales online. Retail #3: Sell Simple. Enviralizer starts at just $25. One time. No monthly fees. Profit #1: Simple & Easy solutions people like to consume. No resistance. Profit #2: Induce Loyalty. Serve people. They appreciate it and stay. Profit #3: Exceed People’s Expectations. They become CUSTOMers. Profit #4: Get Paid Daily from easy Retail Sales. Residual Income #1: Tool system. Power Lead System pays monthly. 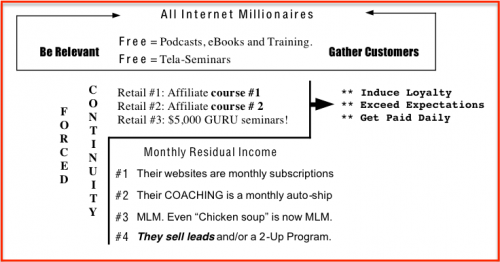 Residual Income #2: Traffic & Leads. Monthly orders equal monthly income. 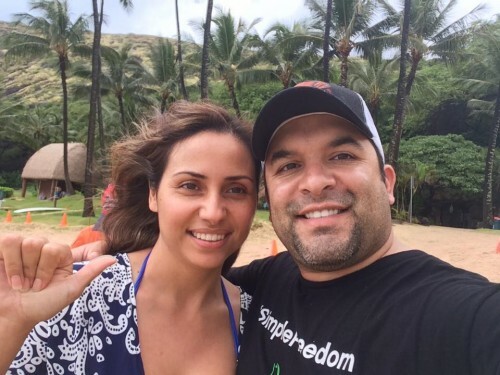 Residual Income #3: They love their blog. It pays monthly income. Residual Income #4: They business program. MLM pays monthly. It’s obvious when you learn it like this, right? All big names use this predictable money formula. That has allowed me to setup the board so that I can choose to live a truly freedom style life. It’s the kind of THINKING that led me to set things up where we can (as a family) decide to take the whole first month of the year off and live, play and “work” in a tropical paradise like Hawai’i and actually have business sales and profits INCREASE and not decrease while I’m here. So I hope this little coaching session today helps to inspire you. You CAN build something like this too. You CAN do, live and have anything you truly want because you can become who you need to become by just making a decision to get started on the journey. Don’t worry if you’ve been spinning your wheels and failing to get results, either. I failed for 9 long years as I was trying to figure this stuff out. I started to succeed quickly after I found someone who knew this formula and taught it to me. My “learning curve” was dramatically reduced once I “saw” this like Neo “saw” the code in the Matrix for the first time. For more information on how to start putting your own version of this “system” together, just follow me. I’m on facebook daily sharing information you can use to get ahead. Nothing is “hard” about what I do once you SEE what’s really going on. Step 1: Get the system we use to create the pages that get this working. Step 2: Get this solution which is easy and fast for people to buy so you get paid fast too. Send me a message on Facebook or call me and leave me a voicemail that you’re on the team. I’ll connect you with our private coaching membership club (free for members like you) where I coach and train you daily with content, copywriting and educational content you can use today to keep moving your business forward. If you have any questions, simply ask me. My goal is to help you get free by helping your teammates get free.